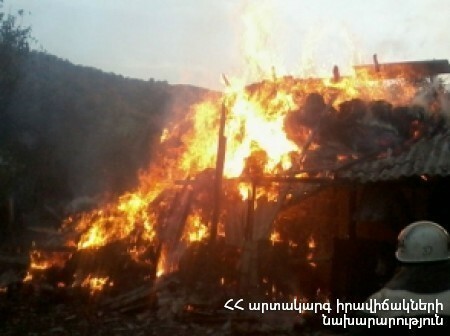 On July 12, at 20:28 an emergency call was received to "911" service that a wooden cottage was burning in the fields of Ayrum town, Tavush region. A fire brigade from the RA Ministry of Emergency Situations rescue squad left for the scene. The fire isolated at 21:08 and extinguished at 21:18. The wooden cottage completely (20 m2) burnt.